SPAZ: The album is a mixture of Electronica, Pop, R&B and Jazz with some other tasty tidbits thrown in for good measure. However, there is a slightly haunting but always beautiful atmosphere that really sets the mood for the album. Was this intentional? KELELA: I think that there is definitely intention behind wanting to sound familiar and at the same time out there. For some people, it sounds haunting and beautiful; for some other people, it sounds other worldly and ‘round the way; for some people, it sounds weird and familiar but yeah there is definitely intention behind trying to straddle between a couple of different worlds so everyone has something to hold on to and also something that challenges them about each song. SPAZ: Since the album is on the Warp Records label, you’ll automatically be classified as an Electronic artist. Yet some of your press refers to you as R&B. Listening to the album, your sound is actually unclassifiable. Where do YOU think Kelela fits in? KELELA: It’s actually not true that since the album is on Warp that it will be automatically classified as electronic. That is not how it works for me. You choose your genres. I choose based on who I think will automatically be listening and I also think about what people think it is when they hear it. As a black woman, I am trying to claim “that” space in Electronic…not as a foreign place or an alternative place, but as a place where I feel very at home and very comfortable in. SPAZ: The production is full of warmth yet the album is also very minimalistic. Did you initially go for a ‘less is more’ aesthetic or did the album’s overall sound come organically? KELELA: The sound of the album came organically. I generally think less is more, but there is also some sort of maximalist moments in the songs so I’m into exploring both, but I kind of prefer dynamics rather than one. SPAZ: Lyrically, it is a very personal journey that practically dictates the direction of the music. There is a lot of sadness but the album is never without hope. Do you hope that it may touch a listener that is going through a hard time? 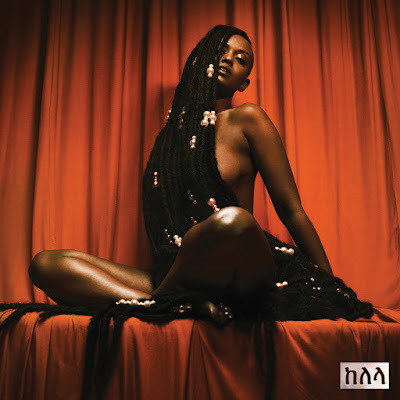 KELELA: The lyrics on this record are definitely personal. I don’t have any songs where I’m not drawing from my own personal experience so it is inherently an intimate record for that reason, and I see that sadness is part of the album but yeah hope is something I really connect with on this record. Never triumph but hopefulness is definitely something I always wanted to present to the world. It’s an important sentiment to present alongside critique. A lot of what I have to say is critical so it’s really nice to be hopeful at the same time which is actually how I feel about the world. It’s an incredible gift when someone tells me that anything I made, made them feel safer or more comfortable or provided them with any solace. SPAZ: On an emotional level, is the Kelela that made CUT 4 ME and HALLUCINOGEN the same Kelela that made TAKE ME APART? SPAZ: I’ve read that Bjork is an influence on your music. Who are some of the other artists that influenced you that may not be obvious while listening to your music? 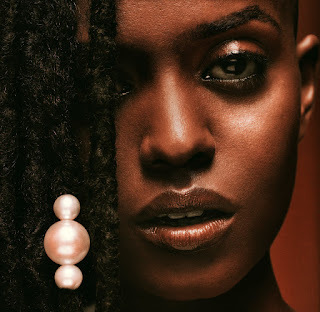 KELELA: Some of the artists that influence me growing up are Miriam Makeba, Natalie Cole, Sara Vaughan, Betty Carter, Fairuz (Lebanese Singer), Abbey Lincoln, Amel Larrieux, Elis Regina, Brandy, Brazilian Girls, Buke and Gase. SPAZ: You really opened up and revealed so much honesty on TAKE ME APART. What was it like to hear the playback of the album for the first time? Did you have to go back and relive the emotions that inspired the songs? KELELA: Listening to the album for the first time was very special. I guess the feeling for me every time is exhilaration. That’s what I’m going for when I make something. I try to make it be something I’m eternally excited about and when I get tired of it, I do another version live so that is kind of how I am living my musical life, and when I hear the songs, I do feel the initial emotions especially when I’m performing them. SPAZ: Are there any contemporary artists that inspire you musically? KELELA: I am very inspired by Solange. I’m also inspired by Moses Sumney, Kelsey Lu, Ty Dolla $ign, BJ the Chicago Kid, and Tink. SPAZ: What’s next for Kelela? KELELA: Touring. Also, you can expect me to use my platform to speak to the things that matter to me in a lot of different creative ways. A lot more music… I have so much to share, and I’m already excited about the statement I am going to make next. KELELA: I’ve been really spinning this album called, STRANGE FLOWER, by an artist named, Aya. I’ve just been obsessed with this record. It’s such a mood and you can play it from top to bottom without stopping. Also, a Sara Vaughan record called, SASSY SWINGS THE TIVOLI. Also, Joanna Newsome - YS, THE WRITING’S ON THE WALL by Destiny’s Child. Max Roach’s Freedom Now Suite - WE INSIST!, and Mariah Carey – BUTTERFLY.